As part of CSV Construction and Stellenbosch Academy of Sport’s community project, a sand court has been opened at the Sustainability Institute in Lynedoch. This marks the fifth sand court to be opened across communities surrounding Stellenbosch, South Africa to promote physical education, wellness and mass participation in sport and recreation. Furthermore, the sand sport model is highly sustainable as it requires no irrigation, making it very appropriate for water scarce areas. 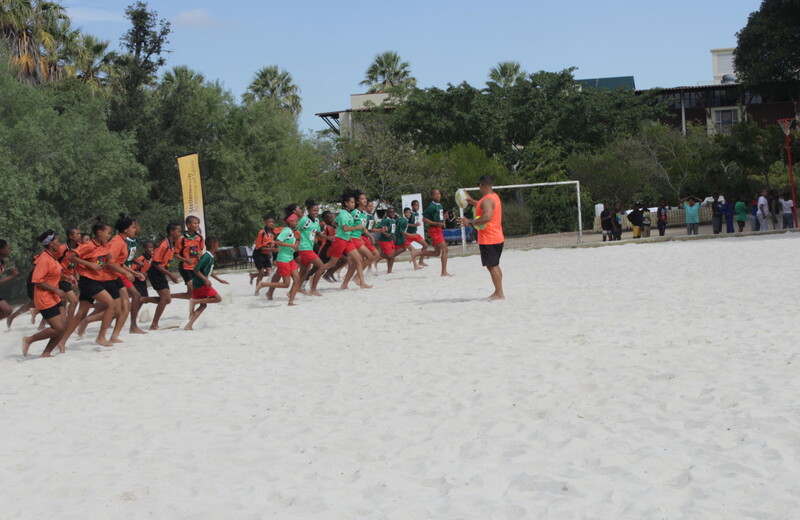 We will be building another five of these courts within the next year and look forward to organizing events and tournaments among the different communities that are already promoting sand sports such as soccer, rugby, netball, volleyball, tennis and handball for boys and girls.